If you’ve decided you want to get your full motorbike licence, the first thing you'll need to do is complete a CBT (Compulsory Basic Training) course. It may be a step down from your dreams of exploring the open road on a big sportsbike or cruiser, but everyone has to start somewhere. The CBT is a mandatory requirement for nearly all new riders and, as the name suggests, will give you the basic level of experience needed in order to ride a motorcycle on the road. Whether you want to ride a cost-effective scooter through the traffic to work, get your first taste of automotive freedom at 16 or be able to ride a bigger machine eventually, the CBT is your first port of call. A CBT is actually a course, rather than a test. Assuming you are starting from the very beginning, you will be taught everything from wheeling the machine around and using the stands through to riding safely on the road. 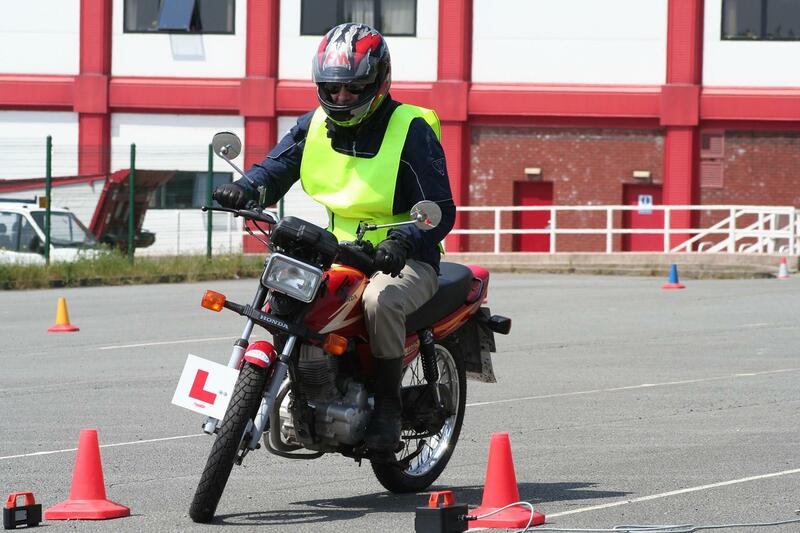 An instructor will assess you throughout the day and if everything goes as planned you will be signed off as safe to ride a moped or small motorbike depending on your age. Your CBT will last two years and then needs to be retaken unless you pass your full bike test in that time. What can I ride on a CBT? From 16-years-old you can ride a moped with L-plates once you have passed your CBT. A moped is a bike or scooter with an engine capacity up to 50cc. Popular models include the Vespa Primavera 50, Piaggio Zip, Honda Vision 50 and Aprilia SR 50. Once you're aged 17 or over, a CBT allows you to ride a motorcycle up to 125cc and with a power output of up to 11kW (14.7bhp) on L-plates. Popular 125s include the Yamaha YZF-R125, Honda CBR125R, KTM 125 Duke and the Honda PCX125. How much is a CBT test? The price of a CBT varies geographically and depends on whether you use your own bike or hire one but will start at around £120. In most cases, this will also cover the cost of all protective gear hire, too.